‘Liquidity’, or rather lack of it, lies at the heart of the ongoing global financial crisis. 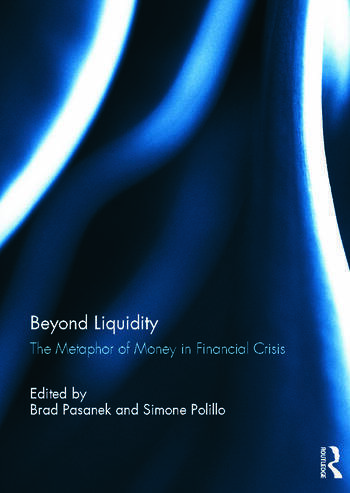 In this collection of essays, the metaphor of money as liquidity, and the model of crisis it entails, is deliberated by a range of scholars from economics, history, anthropology, literature, and sociology. This volume offers a rhetorical explanation of the social, cultural, and historical contexts in which metaphors of money are produced, circulate, and fail. These essays, first presented at "After the Crash, Beyond Liquidity," a conference on money and metaphors held at the University of Virginia, USA, in October of 2009, were drafted in the wake of global uncertainty, TARP bailouts, the Great Recession, programs of stimulus and austerity, and recurrent threats of sovereign default in the EU. They question the language of liquidity and flows that is characteristic of everyday business, exposing what metaphors of money hide and explaining why the idea of liquidity has proved so durable. This book was originally published as a special issue of the Journal of Cultural Economy. Brad Pasanek is an Assistant Professor of English at the University of Virginia, USA, where he has taught since 2008. His research focuses on the use of metaphor in eighteenth-century poetry, drama, fiction, and other non-fiction prose genres of the Enlightenment. Simone Polillo is an Assistant Professor in the Department of Sociology at the University of Virginia, USA. His most recent publications include a theoretical and historical account of money and moral authority in the postbellum United States and a consideration of wildcat banking and the current financial crisis.